AMT Datasouth Corporation is the leading manufacturer of Barcode Label printers and OPTAT MAWB printers for a wide range of Air cargo industry applications. 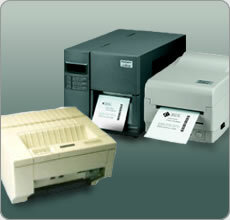 AMT’s Cargo Label printer products are designed to specifically address all of the printer needs of the Cargo Industry. Concentration on a ATB1/ATB2 and dot matrix printers places emphasis on Airlines, GDS, CRS’s and satellite ticket offices. More than 470,000 Documax printers are in the field printing TAT/OPTAT tickets, Cargo industry and invoice/ itinerary documents. This printer offers easy access and superior printing quality for MAWB - Master airway bills, invoices and other multi part forms for travel, maintenance, and cargo applications.